In 2000, I was asked to pick the top attorneys of the twentieth century. (See Jonathan Turley, The Top Trial Attorneys of the Century, The Legal Times, November 29, 1999, at 27). I selected Bailey as one of them. 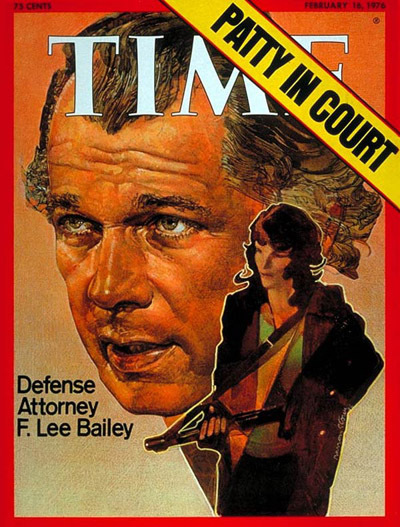 It was admittedly a controversial choice but I believe Bailey’s contributions to trial practice more than warranted his inclusion (with such notables as Delphin Delmas, Samuel Leibowitz, and Clarence Darrow). This has been a long trip for Bailey from the top of the profession to a disbarred lawyer looking for any chance to practice again. In 2012 the Maine Board of Bar Examiners voted 5–4 to deny his application. He appealed and a two-day hearing was held by Supreme Judicial Court Justice Donald Alexander. Justice Alexander filed a 57-page ruling on April 19, 2013, stating that Bailey “was almost fit to practice law, except for an outstanding tax debt of nearly $2 million”. Bailey responded with a plan to repay the back taxes. (Notably, after representing himself in the tax court, Bailey was successful in reducing the amount owed to the government from $4 million to $2 million). His counsel filed for reconsideration before Alexander who decided that “[a] general survey of the state precedent on the debt payment issue suggests that the existence of a debt, by itself, may not result in a finding of lack of good moral character…Rather, findings of failure of proof of good moral character tend to be based on misconduct regarding effort — or lack of effort — to pay the debt, or misconduct referencing the debt payment obligation in the bar admission process.” The Maine’s Board of Bar Examiners then appealed Justice Alexander’s decision to the entire Supreme Court. Bailey’s actions as counsel and trustee for Claude Duboc were egregious. In 1994, Bailey represented Duboc in his drug smuggling and forfeiture case. Under the plea agreement, Duboc agreed to forfeit all of his assets to the United States Government. This includes large foreign properties and stock, including 602,000 shares of Biochem Pharma (“Biochem”) stock worth $5,891,352.00. These assets were transferred to Bailey’s Swiss account to use these funds to market, maintain and liquidate Duboc’s French properties and all other assets. The idea was to maximize the forfeiture to show extraordinary cooperation in return for a shorter sentence. Bailey sought however to create a basis for claiming that appreciation of value of individual assets would not be subject to forfeiture. The Biochem Pharma Stock was a key component of that strategy. Ultimately, money was transferred to a covert account with coordination from Duboc. In the meantime, on May 17, 1994, United States District Court Judge Maurice Paul held a pre-plea conference that dealt with Bailey’s fees and other issues. He ordered “[T]he remainder value of the stock which was being segregated out would be returned to the court at the end of the day, and from that asset the Judge would be – a motion would be filed for a reasonable attorney’s fee for Mr. Bailey.” Bailey would however claim that he never saw the order and continued to spend the money. Most people would agree that such conduct warranted disbarment. However, Bailey long insisted that he never held the stock in trust for Duboc or the United States and that it had been transferred to him in fee simple absolute. Second, he argued that this stock was not subject to forfeiture. Neither of these arguments were accepted. Yet, Bailey continued to defend his actions. His statement that he viewed the actions taken against him as “kind of harsh” probably reflected that defense. The question is whether a lawyer can continue to question the severity of a sanction and still resume practice. After all, he was bankrupted and disbarred for 13 years. Bailey explained his view of the earlier case while saying that the Florida Supreme Court “had some grounds, in retrospect, that warranted disbarment,” but he believed the sanction was “kind of harsh.” He also said that he felt that the Justice Department targeted him for disbarment. There was clearly no love loss between prosecutors and one of the most successful defense attorneys of his time. I am torn on this decision. I believe Bailey’s alleged actions warranted disbarment. However, he has taken a new state bar, waited 13 years, and had a legendary career before he went off this cliff. During that period before disbarment, Bailey was facing huge family and financial challenges. (In early 1999, his fourth wife, Patricia, died after a long struggle with pancreatic cancer. That was followed by the death of his former wife and close friend, Wicki, of cancer and then the death of his 91-year-old mother). No excuse for the conduct to be sure. Yet, it was the use of his testimony that concerned me. I can certainly understand the Supreme Court finding that the prior conduct simply made Bailey ineligible to serve as counsel for the rest of his life. That seemed to be the basis for the original denial in Maine when the board ruled that Bailey had not proved by “clear and convincing evidence that he possesses the requisite honesty and integrity” to practice law. However, the Maine Supreme Court suggested that Bailey might have been able to practice again if he was more contrite. I viewed his statements as continuing to maintain that he had a plausible defense (certainly a claim that many would contest) while accepting that he deserved to be disciplined. It would suggest that anyone seeking reinstatement are expected to drop all questions or objections as to their prior treatment. Ironically, Bailey spoke truthfully while others might just have lied and said that they now accept all of the findings and actions of the prior proceedings. I’m not so sure he didn’t receive this money in fee simple…. The government has to take the attorneys down that are successful in defense of Their clients…. I agree that the reason the Maine Supreme Court gave is all wrong. His need to be more contrite is political boot kissing. Why not respect his honesty for expressing his opinion truthfully? david – this is much like OJ. They are punishing OJ for what they couldn’t punish him for before. Maine is punishing Bailey because of acts they do not like, not this particular instance. However, they need something to hang it on. pete, Or a defendant charged w/ fanny love of a moose. I hope I don’t get the “immature and unnecessary” tag from the Victorian censors. Maybe lobster poacher, that’s a serious crime up ‘dere, ayup. HSK — telling it like it is. Thanks. The Rain in Maine stays mainly in the plane. Or is that Spain. In any event F. Lee Bailey will probably be using the law license to fly elsewhere for high profile (no pun intended) cases. He is 80 for Christ sake, let em fly. I have changed my mind after reading the comment. I believe that the American BAR and Judges has been a destructive force in the quest for a civil society, primarily as they have unlawfully abrogated the Constitution and it’s intent. Rather than properly amend the Constitution, they provide poor decisions to case law, each using the past decisions to further their agenda, which then becomes the rule of law. Few attorneys, as with the federal income tax, however have the testicular fortitude to challenge the corrupt bureaucratic system and the Federal Judges that rubber stamp it, because retaliation against those that challenge their authority, has become a integral part of the protection and confiscatory process. The pure fact of having to be a member of the BAR to practice law or be a Judge is unconstitutional. Amendment IX, The enumeration in the Constitution of certain rights (the right to work) in the Constitution, shall not be construed to deny or disparage others retained by the people. The question is how do you alter such powers. What happens when a relative small group of people literally take over the rule of law and country via nefarious means. The Citizens have very little, if any, recourse. Self oversight is a joke or many of them would be in jail. If they believe Bailey committed a crime, he should have been prosecuted, served his time and than allowed to reinter the work force as an attorney. That is how our system of justice is supposed to work. However now felonies have become a life sentence with the usurpation of their rights. A friend of mine did 5 years for Conspiracy to Defraud the United States. He cannot own a gun or vote even though I’ve challenged everyone to show me what specific fraud he/they committed. The trial was held in Miami and three people on the jury could hardly speak English. Our Constitution really was a beautiful document, sadly there are those who still support it’s continued abrogation. I’m reading Lincoln Unmasked by Thomas DiLorenzo. – I’ve become a big fan of this author. His analysis and references are both of high quality.